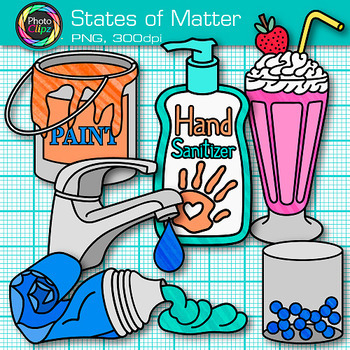 States of Matter Clip Art: Explore solids, liquids, and gases with your budding chemistry students using this pack of clipart. 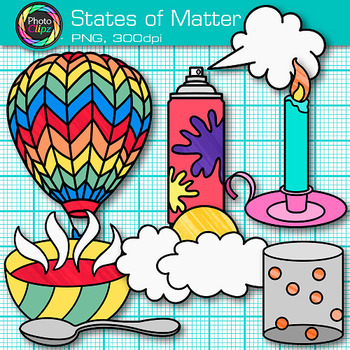 Create PowerPoint slideshows that illustrate three of the four states of matter. 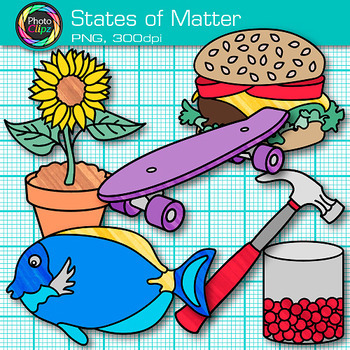 Motivate your students to learn about molecules, atoms, and ions in physics. Design posters that show the difference between ionic and molecular solids. 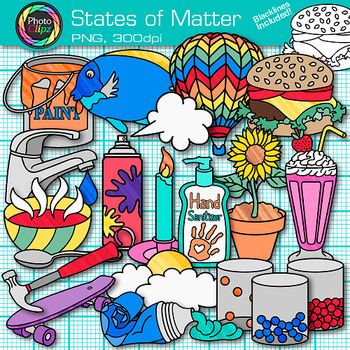 Make worksheets and quizzes to test your students knowledge on matter.